Man’s best friend, our loyal companion – just because we want a nice holiday it doesn’t mean our family dog has to miss out. 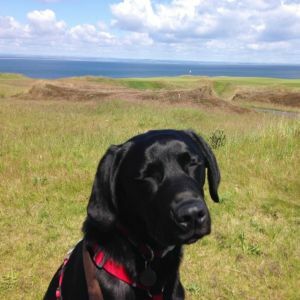 There are plenty of opportunities for dog friendly holidays in Scotland and it offers a perfect way to keep everyone together and get out and explore the great outdoors. We find that the worry for dog owners is often finding suitable accommodation happy to house our four-legged friends. The good news is that with the ‘stay-cation’ more popular than ever before we’re finding more and more great self-catering, guest houses and hotels happy to take the ‘whole’ family. The other great advantage of bringing the dog with you on holiday is that wherever you are you’re bound to meet a great bunch of people through all the introductions that your dog eagerly makes on your behalf while out on ‘walkies’! 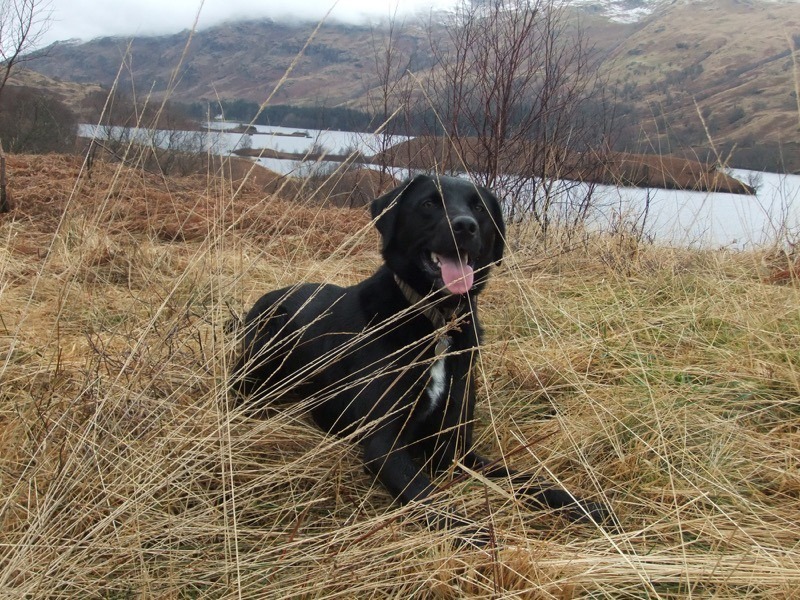 When it comes to tiring your pooch out for the day well there are just so many fantastic trails to explore, rivers and lochs to jump and splash in, beaches to gallop around on and muddy puddles to roll about in. We don’t know about you, but we also love to find a wee pub, simple cafe or country inn with outdoor seating en-route happy to serve us lunch or a cuppa. In our case, again it’s often Hugo (our 7 month old black labrador) who gets the friendliest welcome and hosts are more than happy to bring over a bowl of water and sometimes a wee treat to keep him happy. When it comes to accommodation there are increasingly great options no matter what standard or type of accommodation you are looking for as part of your escape to Scotland. Nearby all of these great places to stay we have recommendations for local pubs and places to eat accepting dogs too – for our guests travelling in Scotland these can be included included our tailored itinerary materials, simply taking any hassle out of searching around for somewhere after a good walk and the stomach is already rumbling. Climate wise – will he be OK in the heat? Well let’s be honest, it’s unlikely he’s going to overheat up here in the north, but if the sun does shine he’ll be delighted to cool off in the sea or a local loch. If it’s snowing or pouring with rain, he’s probably going to love that too. Just make sure you bring along a couple of old towels for the boot! With tail wagging and nose sniffing you know you’ve got a happy dog! Scotland makes for a great holiday in the outdoors and it doesn’t have to be strenuous either. 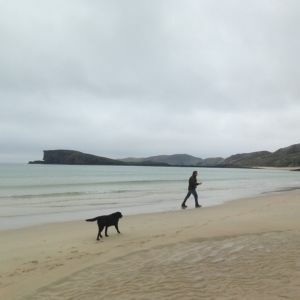 With lots of ideas and experience, we would love to help you plan your holiday here in Scotland. 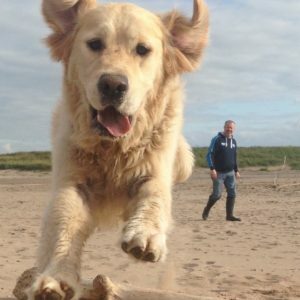 If the dog-friendly holiday appeals to you but you’re not quite sure where to start or would simply like some inspirations then please do get in touch and we’ll be happy to start creating a tailored trip just for you. 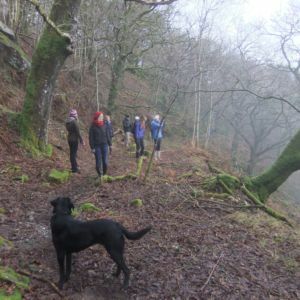 Equally, if you know or find a walk that you love, let us know, there are lots out there! We'll put all of it into a personalised guide that you can take on your travels.